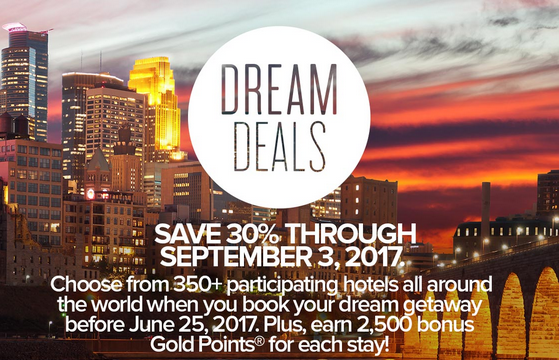 Carlson Hotel’s Dream Deals offer has returned for the summer! As long as you book by June 25th you can save up to 30% on stays at over 350 of their locations while earning 2,500 Bonus Gold Points on each of those stays! Find many more Club Carlson bonus offers here.